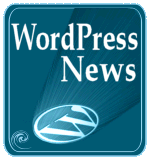 I just posted news on WordCast about the WordPress.com and Microsoft Windows Live Spaces migration which brings Windows Live Spaces bloggers to WordPress.com. 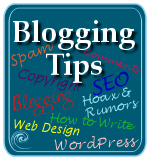 I’m thrilled about this huge endeavor, and offer up my blog tips to Windows Live Spaces bloggers. I’m also excited about what this means for the WordPress Community. The number tossed about is over 30 million blogs converting to WordPress.com, which means a lot of customer support as well as input to the service. The announcement also came with some interesting news tidbits. According to Inside Windows Live, WordPress powers over 8.5% of the web and is used on over 26 million sites. WordPress.com is seen by over 250 million people every month. These are huge and impressive numbers. For those of you with Windows Live Spaces blogs, you will have as of today through March 2011 to migrate to a WordPress.com blog, so I thought I’d offer some quick tips. Your blog domain name might have to change. If your blog’s domain name is something very common, it’s usage as a subdomain might be already taken on WordPress.com, so you have a couple choices. You can either get your domain name registered and use the (currently) USD $15 option to redirect the registered domain to your WordPress.com subdomain and people won’t know the difference, or you can get really creative and find a new free domain name for your blog. Don’t Worry About Your Images and Media: With the WordPress.com importer for Windows Live Spaces, all your images and hosted media will import right into WordPress.com. You might have to play around with a few links, but most will stay true. Themes and Designs: WordPress.com offers a wide variety of WordPress Themes and designs to choose from, many with customizable features to help you pick a great look. If you are in love with your previous design, you can easily port it over to WordPress.com with the Custom CSS extra – if you know a little CSS. If not, get a friend or web designer to do it for you. WordPress.com support is everywhere: I offer a ton of helpful articles here, but check out the WordPress.com Forums, WordPress.tv, WordPress.com Features, WordPress.com Support, and Learn WordPress.com services. WordPress.com Galleries: WordPress.com does not feature albums, and Windows Live Spaces albums might import or continue to be linked to and accessed, but flickr and other image services can easily be included in WordPress, and WordPress has a lovely gallery system for you to add images and share with your readers. WordPress.com Shortcodes makes adding content easy: WordPress.com features shortcodes to post in your blog posts to make adding video, images, third-party content, and other goodies very simple and easy. Sharing and Social May Change: A lot of information out is filled with assumptions and more news will be coming over time, but the core services of Windows Live Spaces as Windows Live Essentials may continue such as Messengers’ WordPress.com post announcements, custom email addresses, albums, Windows Live Profiles, Office docs, and other online social services, but whether or not they are intricately linked to WordPress.com is still news we’re waiting to hear. Modules Verses Widgets: WordPress.com is not modularized, but widgetized. This means that currently the only parts of the blog design you can change are within the header area with the header art, custom menus (within header and sidebar areas), and sidebar “widgets” which permit you to add all sorts of content and features to your blog’s sidebar(s). WordPress Themes are changing and improving dramatically, so expect to see some new Themes coming to WordPress.com which permit more modular rearranging of design elements. Statistics and Numbers: Current stats with Windows Live Spaces will probably not migrate over to WordPress.com, but WordPress.com has an excellent, simplified stats feature built right in that will help you keep track of the activity on your site. Ads are a no-no: Microsoft Service Agreement is a little different from WordPress.com Terms of Service. Copyright and spam rules are basically the same, but advertising and Bing cash back services will end, I presume. WordPress.com has it’s own Advertising Policy and options for running ads on your blogs. 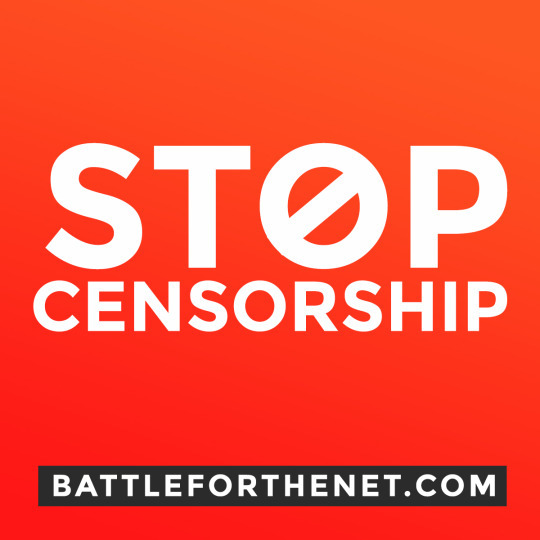 Paid-to-blog, affiliate links, and other paid or sponsored post content is prohibited. If your blog is for business and advertising, I recommend you get a self-hosted WordPress version. 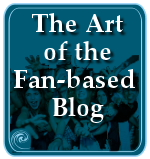 Remember, it’s about blogging: One of the greatest joys of blogging on WordPress.com is that it’s about blogging. You don’t have to worry about security, server downtimes, tweaking code, futzing with designs, or playing around with time-waster stuff – unless you are into that and for which I recommend choosing the self-hosted WordPress version – so you can just focus on content, on writing, on video, on audio, on telling your story and sharing your thoughts. Not sure WordPress.com is right for you? 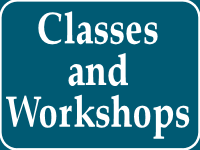 Check out the comparison between WordPress and WordPress.com to help you decide which course to take as you move your Windows Live Spaces blog to WordPress. The next update to the full version of WordPress should include the new Windows Live Spaces import. Again, welcome to WordPress.com and to the joy that is the WordPress Community. We’ve been breaking rules in blogging here since 2005, and many of us long before that. You’re in good company and we’re eager to learn from you, too! The “30 million Windows Live Spaces bloggers” coming to WordPress.com are now estimated to be closer to 7 million, as experts say that Microsoft might have counted those who have signed up, not necessarily the “active” blogs. That’s still a huge number and WordPress.com can handle it, especially as WordPress.com now handles a lot of the CNN, Fox, People, and other high traffic blogs, including the king of traffic, the popular I Can Has Cheezburger. Now that [import] process will be much easier, we’ve worked closely with their team to make it as smooth as possible. …Like I said in the post, I think it speaks to their respect for their users. It was probably a good business decision to discontinue investment in the service, so they looked for the best alternative to their users. They know that on WordPress.com there’ll be a team living and breathing making blogging easier every day. …Sure, basically Microsoft gets to focus more resources on what they consider their core businesses, and we take the burden of hosting all the blogs but in exchange we get to introduce a whole new audience to the wonders of WordPress. …I would love to meet Bill Gates someday! No check though, there was no financial component to this particular deal. His comments to his post answer some of the leading questions many Windows Live Spaces users are having with the deal and the transition. First, the WordPress team is working overtime to improve the transition as more people make the move, and second, this was not a financial deal, as many claim. In the typical style of the WordPress Community, the need was there and they offered to help. Now it’s up to the team and the community to help make the transition as smooth as possible. According to the WordPress.com development team working with Windows Live Spaces, all images on Live Spaces were stored on Skydrive. Microsoft will continue to support Skydrive after Live Spaces discontinues. You may leave them on Skydrive and link to them from there, or import them into WordPress at your leisure. For more information and details, see “Help and Tips for Windows Live Spaces Bloggers with Modules, Albums, Widgets, and Lists. This entry was written by Lorelle VanFossen and posted on September 27, 2010 at 6:38 pm and filed under WordPress, WordPress News, WordPressDotCom with tags how to use wordpress, windows, windows live, windows live spaces, wordpress, wordpress help, WordPress News, WordPress Tips, wordpress tutorials, wordpress.com, WordPressDotCom. Bookmark the permalink. Follow any comments here with the RSS feed for this post. Post a comment or leave a trackback: Trackback URL. Thirty million is such a mind-boggling whack of users. Do you think wp.com is equipped to handle such a huge influx of newcomers all at once? The newbs keep the support forums humming pretty hot as it is. What about basic infrastructure? @ian: WordPress.com can handle the server load, no doubt about it. It’s a huge influx, but I’m sure that not everyone will make the move. Many of those blogs have been abandoned, people don’t care anymore, or will feel it is a huge waste of time. The attrition rate will bring the numbers down, but I’m sure they can handle the server load. As for the support, us old veterans are going to have to notch it up to help all the new people. Are you with me?!!! LOL! This is quite a big news which could benefit greatly bloggers from Windows Live Spaces Bloggers to WordPress.com. It implies that the community has grown large with the inking of the agreement. Once again, Lorelle has provided valuable tips for those who will be migrating their contents to WordPress.com. Thank you and congratulations for a very timely tips. This probably will not be posted (or removed quickly). First, Windows Live bloggers were essentially forced into this if we wanted to keep our blog sites active, the alternatives were either accept it or take your site off line, which is not a choice really. So, Windows and WordPress cut a deal, exchanged some dollars for it, and the user suffers the consequences – and neither Windows or WordPress really care, because it’s all about the almighty dollar! Second, the migration of the Live blog over to WordPress was, for me, a disaster. In the end, I wound up with two sites under one account, and of course my actual blog migrated to to the domain name I didn’t want (which now has 4 1’s instead of 3)! Because the one basically empty blog page is now linked to the account, to get rid of it I have to delete the entire account. Real smart people! Third, because WordPress couldn’t handle migrating the modules,I pretty much lost half the content of my site (e.g. favorite books, music, movies, all my personal content, and many links – the one which really irritates me is the link to my deceased wife’s memorial web site). I can tell you one thing I am not going to do now. I am not going to spend dozens of my hours building a site, only so some entity can tear it down at their whim. I haven’t decided whether to leave it up as is, or just save what content remains to files, remove the whole thing and stop online journaling (that’s really what blogging is – it’s journaling) altogether! Like I said in my 1000 character limited comment to the Live team – thank you for nothing. @Dean: Why would you think I would remove the post? That’s sad and narrow=minded of you. I don’t work for WordPress, but I do control the content on my own site, as anyone who posts on WordPress does. I’d love to see the lessons you learned from importing, as it appears you have figured things out. That would help many. The modules will not import, clearly as I mentioned, but it’s worth bringing to their attention. Most of those are static content which can easily be copied and pasted from the original into the new WordPress.com blog, often into text widgets. Because they are personal, I’m sure it is more painful, but the tips you have to offer from your experience could easily help many making the move. I know you are frustrated and taking this move personally. Live Spaces members have six months to make the move, thus can take it step by step and we can all learn from the process and help each other. They also have other options to choose from other than WordPress.com, though the move might be more painful there. WordPress.com is free for those willing to work within the free limitations (which I’ve never found restrictive) and I’ve been very lucky to have been with them since their conception. Change is painful, especially when it involves something personal, but I also see this as a chance to clean up some of the things that might need some cleaning up and improving, and a chance to re-energize your blog with a much cleaner and easier-to-use interface. I’ve found many of my friends and customers liberated by switching to WordPress and WordPress.com, and hopefully this will be the way it is for many. The WordPress Foundation is determined to have WordPress.com last a very long time, probably why Microsoft went with them, so I wouldn’t fear another such switch. Again, I’m sorry you had a bad experience, but this is the information everyone, including the WordPress.com team, needs to know in order to help guide Windows Live Spaces members into the WordPress world. UPDATE: As updated in the post, Matt Mullenweg has told the world that this was NOT a financial deal nor done for financial gain, as I thought. It’s just another example of how WordPress thinks and works differently from other businesses, and another reason why I’m so proud to be associated with them as a fan. Great news indeed! Microsoft, after all these years appears to be doing something sensible. @Dean: I would ask Microsoft for my money back if I were you. So great of WordPress to offer to do this and not allow any of users’ content to be lost. As a user of WordPress for our SeeVolution page it just makes me more confident in our choice of platform. Apart from migration issues – I guess the biggest problem (for some) might be getting a ‘proper’ username. 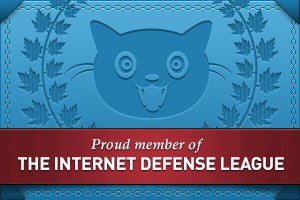 The other thing might be URL re-directs – that may never happen. I started my website in 2003 – and that time there were so many different options. I tested with different blogging scripts. But finally chose WordPress as at that time I found it easy to use (I think the ease has increased with time) – but more that that I was fascinated with the big community – and the participation it had of others (in the form of plugins and themes). And it seemed to me “This one would stay”. And today definitely WordPress has proved itself as the lead blogging (& CMS) platform. @ Lorelle: Why I thought my post would be removed is because I did believe you were associated with WordPress in some fashion. I found the link to this blog via one of the default widgets (or whatever you want to call them), in the template I used for the WordPress site. Also this post is promoting the merger, so … but I do apologize for my assumption. I’m not sure if this link I embedded will appear in the post as a link, but it is regarding this merger. This article wrongly claims that all content will transfer in the migration. If you could have seen my old blog site vs. this WordPress one, that would be proof that it does not (now I wished I had done some screen shots of my old site, just for evidence if nothing more). However, it does rightly explain the options you have if you chose to or not to make the migration, and they are very limited. I saw no metion of copying and pasting static content over into widgets, or whatever. I did see the statement that the the module (information) would not import into the widgets, and that the only content to transfer would be the posts, comments, and content embedded in the blog post. The only way I can think of to import that lost information would be to copy it all in a notepad or word file, and then paste the bits and pieces into an appropriate content area/widget on the new blog site. But that would also mean you have to establish your WordPress blog first (not migrate it), and laboriously recreate the same or similar content on the new site. So again, we’re talking dozens or more hours to recreate the new site. Also, this may prove beneficial, if you do chose to back-up the Live blog site rather than migrate, the same situation applies – only the posts, embedded content in the post and the comments will be in the back-up – all other content is lost (unless you do what I just explained). For those who are under the perception that any of this is “free”, I humbly suggest you rethink your position. Ultimately the consumer pays for it – all. Decisions made in the business world today are made solely on the basis of financial gain. Whether it’s dollars, resources, tax write-off, whatever – the benefit of the people is no longer a consideration. Such is the world we live in, like it or not. There was a day when pride in ones work, quality, craftsmanship, reliability, etc. were hallmarks. Those days are gone, and have been for some time (they have been pretty much erradicated in the last 2-3 decades). I am 100% confident in stating that both Live and WordPress experienced financial gain in some form as a result of this merger, otherwise it would not have happened. Even if 10 million users choose to opt out, both sides will gain financially and you can be assured all that was calculated by both institutions prior to making this decision. Of course, you can make fun or light of my comments, but at the very least I’ve written down the truth and facts. What I’ve learned is that most people would prefer not to hear the truth, they would rather have their ears tickled by the marketing strategists. Thank you Lorelle for the opportunity to speak my piece regarding this matter. @Dean: WordPress.com is free. There are paid options, and no consumer “pays” for the service. This is a new world today and a lot of what WordPress and the WordPress Community members offer is free with no strings. As a member of this community since 2003, I happen to be an expert on this subject, so no rethinking is required. It’s nice to share and give and that’s what the community is all about. I’m with @Ryan on that one! To help others who may face the same issues with “static” content in modules, which FAQ on the migration from the Windows Live Solution Center clearly states doesn’t transfer, I wrote Help and Tips for Windows Live Spaces Bloggers: Modules, Albums, Widgets, and Lists as a tutorial to help them, doing my part as a member of the WordPress.com Community to help those migrating here. I poked around in the Windows Live Support Forums and found Live staff members recovering modules and lists from “closed” sites to email privately to their members so they can add it to their WordPress.com site. Dean, have you checked with them on the data you lost? I’ve not poked fun at your comments. There is no need. You wrote of a heart-wrenching experience which many have not suffered during their migration, but hopefully others will learn from. This is part of the motivation to write the tutorial I did so others will not suffer as you have. I do hope you will take heart from myself and the others here who do wish for you a joyous experience for your blog in the future. You didn’t have to make the switch to WordPress.com, but we’re all here to help you now that you did. Thanks. @Anup: I agree with you. Usernames are going to be a tough one as many are setup with their own unique names and domains and that name might be already taken here. I know that will frustrate many, but let’s hope there are few of them. @sasha: WordPress.com is working hard to help people not lose their content in the migration, and I read many posts on the Windows Live Solutions forums from the staff to help those who have lost their module and list content and get it sent to them in a form they can use on WordPress.com. I thought that was really decent of them even if the blogger’s blog on Live Spaces was closed due to the migration. Thanks! @Dean Perry – I think you are misunderstanding how the WordPress community works. You have to say something extreme to have your comment removed, even in the official channels. WordPress bloggers are generally a happy bunch and part of that comes from an open approach to the rest of the community. That last word is probably the most important one, “community”. WordPress is a community, unlike other platforms out there. You can import and export ALL of your content with WordPress, host it yourself, do whatever you like and never need to be tied down to WordPress.com in anyway. Very few other online services offer such an extreme level of open-ness in the way that you can manage your own content. So after march our live space blogs vanish if we have not migrated them? @Mo Bee Willy: That is what Windows Live Spaces is claiming. Sites not moved elsewhere will end in March 2011. They may change their mind, but six months is more lenient than most. I did go to the Live support site dealing with the migration of Live blog sites to WordPress and asked about recovering module information. I finally did get an answer! If the user had information in a List module (e.g. I had favorite books, movies, music, links, and TV shows), that information is still there! To back it up, I did it two ways. I first selected and copied the content over into a Word document. I recommend you paste as HTML (look at the Paste Special) into the doc file. It puts everything in cells, but it’s all there and the embedded links are preserved. I also backed them up using the Save As Web Page Complete function. That saves a web page (*.htm) and a folder with all images from the page on your hard drive, and if you click on the page reference, it directs to the folder of images on your drive. Take note, if you ever move these on your drive, you have to move the folder along with the html page, they are linked! So, here are the instructions for accessing List Modules on your Live Spaces. How can I get my Lists back after I migrated to WordPress? This thread has been locked by a moderator and no further activity can be performed on this thread. You should now have access to all of your lists that were previously available on your space. Please feel free to copy and save them to a location on your computer for future reference. @sunburst111: Great tips and help. Wonderful. I cover much of this in Help and Tips for Windows Live Space Bloggers for Modules, Albums, Widgets, and Lists. However NEVER NEVER NEVER past blog content into Word unless is it post content you paste back into the post content area using the From Word paste button. ALWAYS use a text editor as Word puts in character codes and stuff that will totally break your blog. I’ll add the rest of your notes to the other posts to help people there. Thanks! Can someone PLEASE tell me how to link my worldpress blog to my Office Live website. I’ve migrated and now I’m thinking I made a mistake because the module to link to ur blog is only a LiveSpace one. Please help! Once your Windows Live Spaces website is transfered to WordPress.com, it is no longer working. It cannot be linked to. As for Office Live websites, you will have to contact them directly for customer support. To create a simple link in your WordPress.com blog, see Links « Support — WordPress.com. Can someone explain to me why wordpress is so awesome where it doesn’t include photo album ? Now people going to my window live page is re-directed to wordpress and see no photo album. True that photo albums from windows live space is going to remain on skydrive and supported by microsoft, but I don’t want to having to send someone two separate links saying here to read my blogs go to wordpress and to see all my photos for the past 10 years, go to skydrive. Heck with this, I’m ditching wordpress. WordPress does have an “album” feature. It’s called the Media Library and the Gallery. If you have migrated over to WordPress.com, the images on Skydrive will remain, as explained in Help and Tips for Windows Live Spaces Bloggers: Modules, Albums, Widgets, and Lists. WordPress.com is working overtime to ensure easy migration as much as possible, but it doesn’t offer some of the services that Live Spaces did, and it has a ton that they didn’t. You can choose to switch to any blogging service, but the problem will remain as others do not easily support Live Spaces. Thank you, Lorelle, for your clarification. Is wordpress image gallery the “album” feature you mentioned ? It seems like it’s a per page/post album. I also saw my friend’s migrated blog to wordpress from windows live. He’s got a photo album section set up “Flickr Photos” I thought great. But then found out it’s basically a flickr widget. It won’t work for any other photo sharing sites. All my photos through out the years are on skydrive and a free Chinese photo sharing site that offers unlimited storage and upload bandwidth. I was even trying to add a menu (call it “photos”) and put the link to my skydrive albums or to my Chinese photo sharing site. That didn’t work out either. All I want is a traditional blog home page that has a profile section, a blog section, and a photo album section. I mean most sites have this basic concept (profile, photos, blogs) with an easy interface to edit those sections. I maintain and replicate my blog from windows live to 3 other blog services and they all have this basic layout and concept. I spent an hour or so just to barely get a profile section up there on my wordpress home page with a profile picture by adding an “author” widget. Easy to use means common sense for most people. Why make it such a way that getting a little profile section setup with a profile picture and a short description on the side of the home blog page is actually accomplished by going to “My Blog” (not “My Account”) -> “Dashboard” -> “Appearance” -> “Widgets” -> “Author” ? How is that easy and intuitive for anyone to pick up and just use ? This is similar to my experience at work. There is this code/defect managing application GUI we use at my work. The people who designed it are all about teaching new users new things through brown bag sessions. All the queries can be saved and shared with other people. I can create a customized query for example to query all the active defects in a particular component. My co-workers think it’s useful and would like to get it and use it. So the way to share it is send the query I build as a link to the person that wants it. He then can log in with his credential and save that query. People spend hours trying to figure out what to click to get the link of the query in that GUI. Most people first scan all the clickable links and buttons in the GUI interface. If nothing suggests sharing query or getting link of a query, usually next thing people often do is right click on the query page in the GUI to see what comes up in the sub pop up menu. Turns out, to get the link, you choose “E-mail”, then it gives you either the option of sql query raw commands or a link of the query to send. That’s how to obtain the link of the query I build that I want someone else to run with their credential. So to share the query I build, is to share the link (or get the link). But it’s hidden under a sub menu under “e-mail”. Who would’ve thought of that ? We told the designers of the GUI some feekback. We said look at youtube. At the end of the video, it clearly shows “replay” and “share” Click on the share then it gives you the different options to share including a link for you to copy. You can send the link via e-mail, post it somewhere, instant message it to your friend on aim, msn, oicq, jabber, yahoo messenger……whatever you want to do with it. Within seconds first time users know what to do to share it. Reply we got back is oh go to the brown bag session, we talked about how to do it in the brown bag session already. So I guess the net of this is, people migrating from a blog service that just like many other common blog sites that provide those easy to manage basic features (blog, photo, profile sections), all of a sudden struggle with the basic things with wordpress is definitely going to move on. No one is going to spend hours and hours trying to struggle with something to achieve what they could’ve archive with their previous service. No one will pay to get upgrade to achieve what they used to get for free with their previous service. Especially when it comes to casual non-commercial personal blogging. 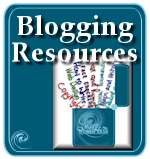 Did you see Help and Tips for Windows Live Spaces Bloggers: Modules, Albums, Widgets, and Lists with extensive help? The WordPress Media Library features galleries, which is described in more detail in that article. Flickr Photo Albums are also permitted on WordPress.com, though more flexible on self-hosted WordPress blogs. As stated also in that article, SkyDrive will continue to function so links to images within it will continue to work from within WordPress.com. Have you checked out the various photoblog specific WordPress Themes available on WordPress.com? The monotone and duotone Themes are fascinating and I believe that there are other photo-specific Themes to choose from. A profile and author widget usually take moments, unless you are composing on the spot. Most of these issues will become easier with time as you are still learning and finding challenges with the terminology. The WordPress.com Support Forums are also very helpful as are their FAQs and support questions. The About page is your Author information area on your blog. You do not need a separate page or information. Just fill in it with who you are and what you are blogging about. See Who The Hell Are You? for information on filling in the about page. You are clearly overthinking all this. 😀 That’s a good sign. WordPress has been designed extensively to be very user friendly and I’ve seen 8 year olds and 80 year olds “get it” in minutes where I spend a long time trying to remember where things are as I’ve been using it since 2003. If you have suggestions on how WordPress and WordPress.com can improve things, join the WordPress Community which helps WordPress improve. The majority of support and input on WordPress comes from volunteers, and you could be one. Thanks. And welcome to the family. Hi Lorelle, thanks again for providing more details in your response. I did read many pages off of links on your blog… for example “Help and Tips for Windows Live Spaces Bloggers: Modules, Albums, Widgets, and Lists with extensive help” , etc. My point is … I shouldn’t have to read pages and pages of write-ups and instructions and spend hours to learn just to get going with a blog. (Try joining facebook or windows live and just create a dummy account and see how long it’ll take you without reading any instruction or write-ups or FAQ pages for you to get a home blog page set up that presents a little profile section with picture and short description that’s ON THE HOME page. I think the concept is a little different at wordpress. I do notice there is the “about” page. I could post a description and my profile photo there. But it is a separate page. Could you show me how to add a module/widget/section for profile or whatever you call it on main home page? Home page gets most of the traffic and most people stop there. I would like the profile picture and description to be presented in the main home page. As of photo albums… before seeing your reply about photo-specific themes, I did spent hours and hours reading FAQ, instruction page, wiki, google search, etc. as I was trying to figure out how to present my photo sections on the home page with wordpress. I did come across wordpress photo-specific themes, etc. But those are tied to theme, why ? why tie it to themes ? I’m not trying to have my home page setup to present lots of photos, I use other main photo sharing services for that then. I totally understand that photos uploaded to photo albums in windows live are actually stored on skydrive. Photos inserted in blog entries in windows live are actually in one of the photo albums called “blog images”. We also understand that migration tool only migrates the photos inserted in the blog entries from windows live. Not the photos in the photos albums on skydrive. I’m fine with that. I actually don’t want all my photos in photo albums on skydrive to be migrated to wordpress gallery or image service or whatever you call it, neither automatically through the migration tool nor manually by me. Because skydrive offers 25 Gb of storage for free as of today (they’ve been increasing it through out the years). WordPress currently offers 1 Gb for free, correct ? If I can’t fit all my photo albums from skydrive into 1 Gb storage on wordpress, it’ll be more ka-ching ka-ching for wordpress since I need an upgrade right ? Again I bring back my point mentioned in my previous comment. 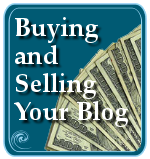 No one will pay to get upgrade to achieve what they used to get for free with their previous service, especially when it comes to casual non-commercial personal blogging, unless that is their only option. So with my photo albums all on skydrive, So could you show me how to add a module/section/widget for photo albums in my wordpress home page that souces from my skydrive photo album similar to how the flickr widget does it? You guys did it for flickr and flickr only. What’s the reason for not providing a widget that allows users to add a photo album module to the home page and present a preview with any photo sharing services? And if blog viewers click on that section, they get to the actual photo album site (whatever the photo sharing site is). Why not provide an easy interface (and easy being the emphasis here) to have a free form of layout option that allows users to pick the layout of their home page anyway they what without having to get stuck to a theme. And allow users to add whatever modules to their home page, re-arrange those modules anyway they like. Look at windows live, look at other blog/social networking services. In your account section, there is an edit section that takes you into edit mode. One clear labeled button called “Customize” or “Personalize” , etc which gives you a drop down menu that consist of something like “Add modules”, “Change theme”, “Change layout”, “Rearrange or hide modules”, “Text colors and fonts”, “Background image” then an “Advanced” section for all the non-basic advanced features they offer. When you change the layout, pick three columns, two column, horizontal, vertical, blah blah blah…any way you want while you are not tied to a specific theme. This prevents situations like if you want that three column layout but not really that theme for example or you really like that theme but it’s tied to a two column layout darn it. Right now the layout/certain menu/and buttons are tied tightly to specific themes. Look at my wordpress home page for example. http://geeandy.wordpress.com/ With my current theme, I’m stuck with the menus on top of the home page — “Books”, “Computers and Internet”, “Entertainment”, “Food and Drink”, “Hobbies”, “News and politics” “ Travel”, “Uncategorized”. With this theme I get that layout… that’s tying layout and themes together, that is not flexible and if you only have 90 or themes on wordpress.com (not wordpress.org) that’s really limiting. I chose my current theme because I thought oh great those are menus. I get to change them to “Home” “Photos” “Blog”, etc and delete the rest. But found out those are blog entry categories based on the blog entries tied to each category when I published them. And if I want this current theme, I can’t even get rid of them or change the menu to link to something else? I spent hours trying to fix it. Can’t do it. So then I go okay fine. Let me explore what “Dashboard” -> “Appearance” -> “Menus” does for me. Maybe I can add “Home” “Photos” “Blog” menu on my home page with similar layout as those blog category menu that’s fixed tightly with this particular theme. So it takes me this “Menus” edit page where it has “Theme Locations” “Custom Links” “Pages” , “Categories”, and a section to add more menus I guess. But what is this ? Under “Custom Links” just two fields “URL” and “Label” . Is this adding to the menu, to the home page or what ? Is there a preview option ? So this is userablity issue. “Menu” edit mode should still show me my home page but let me move those menus, show me where the links go and how the label appears when I type it and add to menu, etc. Fine, that issue aside. I added a new menu called and typed “My Photos” in the “Menu Name” field and clicked on “Save Menu” Added a link under “Custom Links” not know if that ‘s adding to the “My Photos” menu I just added or adding a hard link directly to my Home page. Then I go to my home page. It shows a tiny box named “Photos” at the far upper left corner of my home page. Can’t figure out how to arrange it or move it to my desired spot on the home page. It seems to link to my skydrive album though. Then previously the “Home” and “About” menu bottons are gone. Just “Photos” menu I just added now. I want all of them to be there. I went back to “Dashboard” -> “Appearance” -> “Menus”, saw under “Theme Locations” it says “Your theme supports 1 menu. Select which menu you would like to use.” If I don’t select anything under “Primary Navigation”, then it would display “Home”, “About me”, and “RSS” menus at the far upper left corner of the home page. If I select the Menu I added which is “My Photos” under “Primary Navigation”, it would only show “My Photos” menu. So not only layout, modules are tied to the themes, menu is also limited and tied tightly to the themes. You mentioned 8 year old and 80 year old “get it” in minutes with wordpress when they first use it. I truly don’t think that’s the case. If by “get it” you mean just post a blog entry then maybe. But try ask an 8 year old or 80 year old first time user to do the things I mentioned above with wordpress. Sure you can come back to me and point me to read FAQ or an extensive write-up on how to add photo modules on home page with wordpress. Or tell me wait a minute, who said you can’t do it with wordpress, here is the way you can accomplish it… step 1, 2, 3,… 10, 11, 12… That’s not my point here. If a product or service is truly awesome and easy to use with many features and very flexible, then I shouldn’t be overthinking it here and writing this long comment venting out my frustrations on trying to get simple basic stuff done on my blog that I used to be able to do easily with previous product or service. I’m sure with wordpress, you can do all the stuff that I mentioned I wanted to do above, and I hope you’ll show me. I’ll really appreciate your help. But at the same time, think about is the workaround or the instruction on how to do it simple and easy? And first time user can just get it done without spending hours trying this and that. I briefly looked at your blog. It gives me the impression that you are very involved in the wordpress community. Are you able to drive those feedback to wordpress ? You ask me to join wordpress community and improve it. I don’t work for them, nor I want to volunteer to advocate for it and spend to improve it. I’m and enduser here. And if it doesn’t really work out, I can’t ask more since it’s a free service. It’s just a personal blog, if it doesn’t work out, migrate to others that will work. Thanks again for your reply Lorelle. Many use WordPress without ever going to the WordPress.com support, FAQ, or help pages. Few even see my blog. 😀 I’m sorry you are having problems. To create a sidebar explanation or image on your WordPress.com blog, use a text widget. Just input HTML into the widget placed in the sidebar from Appearances > Widgets. An About page is a default page for telling people about your site and its author on many web publishing platforms. It is not unique to WordPress. Few people realistically get the majority of their traffic on the front page. I’m an expert in web analytics, so I speak of experience. If you are, then something needs fixing, which is beyond the scope of this comment box to assist you with, as are many of your questions. Use Settings options to set any Page or post you wish to be your home page if you want or use the Sticky Post feature (found on the post or Page edit panel for the one you wish to “stick” to the front page of your site). Photoblog specific WordPress Themes are fun and fascinating to use. You don’t have to, but if you have a photoblog, they are delightful and useful. As for SkyDrive options versus WordPress, Live Spaces did not order you to choose WordPress. It is your choice. You can use what features you wish for free or pay. There are many options out there. Millions and millions of bloggers choose WordPress and that says a lot. I’ve been with them, teaching WordPress and speaking at conferences all over the world since 2003, and I speak from experience about the ease of use for many people of all ages and education levels. As for the rest, the WordPress.com Support services can answer your questions better than I can. I do not work for WordPress nor WordPress.com, and I’m a volunteer and work with a lot of the documentation and development as one. Again, I urge you to join the Community and share your voice and desires to help WordPress improve. See WordPress Ideas to see others adding their voice to wishes and feature requests for WordPress. I fail to see the difficulty in copying and pasting over.